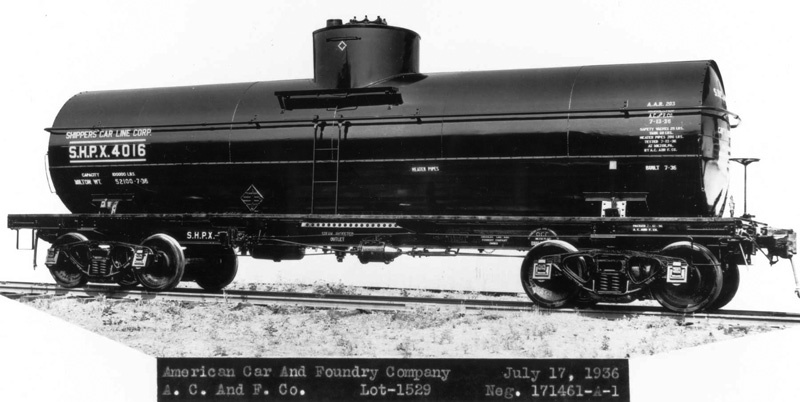 American Car & Foundry built 151 of these insulated Type 27 tank cars between late 1929 and mid-1943. Resin Car Works produced a few versions of these tank cars representing different prototypes and lettering styles. Check out this page of extra files to assist in your AC&F Type 27 8K gallon, insulated tank car builds. 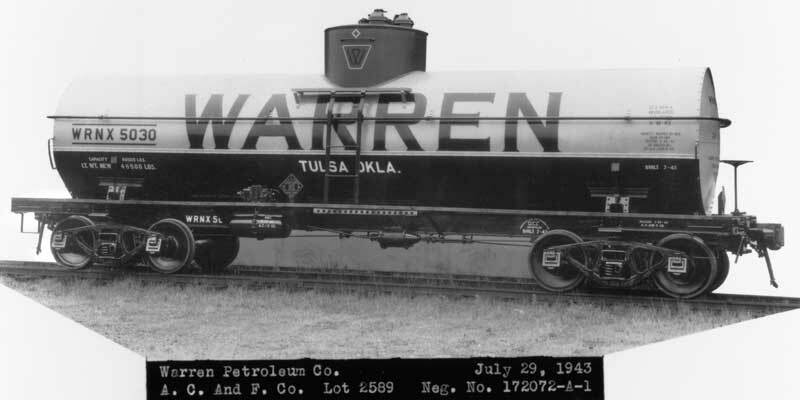 This model represents several Warren Petroleum cars that were installed in 1943. This model represents nine Shippers' Car Line tank cars built between 1936 and 1938, leased to Mathieson Alkali Works. This model represents Shippers' Car Line tank cars built between 1936 and 1938. This model represents ten Shippers' Car Line tank cars built in 1936 and leased to Wecoline Products, Inc. to transport edible oils. 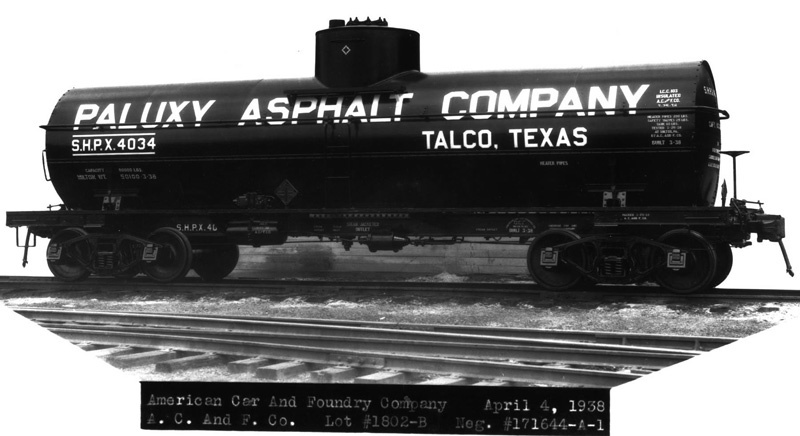 This model represents Shippers' Car Line tank cars built between 1938 and leased to Paluxy Asphalt Company.